Pre 1990 body Line SI Bushmaster with hard anodized Diamond Dust finish. 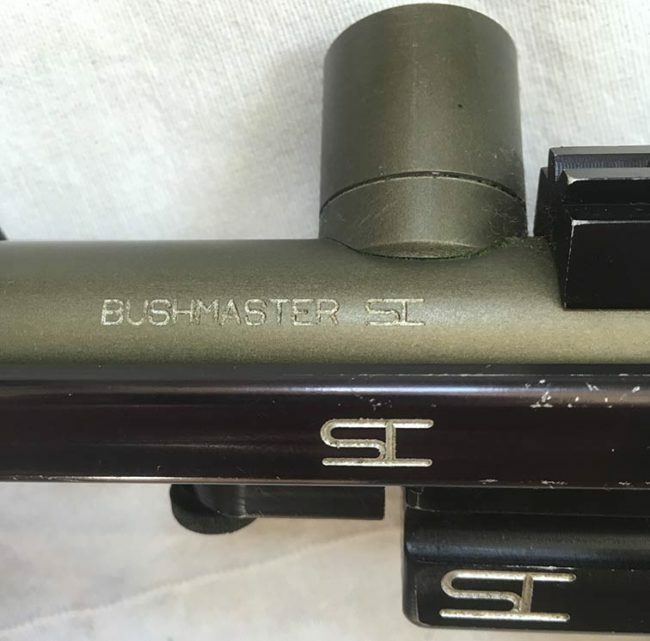 Here is a pre 1990 Line SI Bushmaster in Line SI’s hard anodized Diamond Dust finish that I found this on ebay last month. More of these diamond dust finish body have popped up over the last couple years which makes me think they were sold in a larger capacity than I initially though. Pre 1990 snub body designated the body and valve style that are interchangeable with stock nelspot valves and bodies. For example I could remove the Taso style valve off the Bushmaster and place it on a stock Nelpot 007 pistol. Left side of Diamond Dust Bushmaster. SI is engraved on pump arm and grip frame in standard spots. This example has had the thumb screws replaced with standard allen grub screws. The internals on this Bushmaster are stock Line SI and the trigger shoe appears to be cast and anodized aluminum. Bushmaster engraving on body of Line SI Bushmaster. The body also has the typical “Bushmaster SI” engraving. 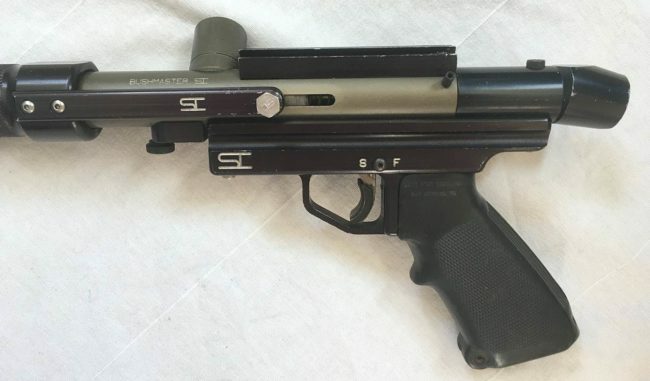 The black anodized pump, grip frame and site rail all show wear and the barrel is especially worn. Surprisingly the green hard anodized body looks great. Right side stainless “SI” thumb screws on pump arm. 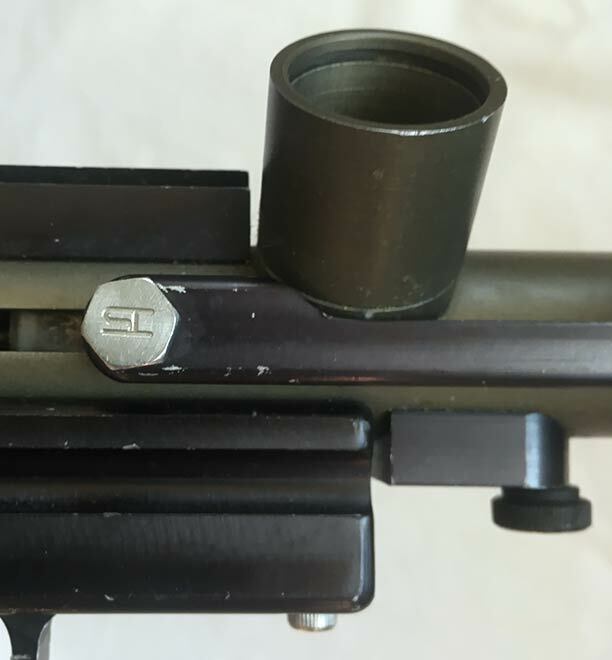 Although the thumb screws were replaced, the stainless Line “SI” pump arm screws were still intact. These are usually the first to go and the last to be re placed. I’m not sure what the fate of this Bushmaster will be. I might replace the body with a standard black body and sell it and keep the green body for a project or I might keep it as is.